At long last, the game soccer or football is getting attention in the Philippines. Finally, generous sponsors created a soccer team and they named it as the Azkal Soccer Team. The name of the Azkal Soccer Team was obtained from the Tagalog word askal (asong kalye), which is the name given to mutts or dogs of mixed pedigree. 1. Stay Out of Showbiz – Team Azkal, especially Phil Younghusband, is being enticed to join showbiz. I advice against it because showbiz demands a lot of time and it may eat up the time devoted for their training. Team Azkal must devote their time to practice because the path to the World Cup is quite hard. They need all their time to catch up with the stronger soccer teams in Southeast Asia. 2. Don't Let Their “Celebrity Status” Get Into Their Heads – members of the Team Azkal are celebrities already and their exposure in the Philippine media increases their fame. Hundreds of fans follow Team Azkal in Twitter and Facebook and many people follow their every move. Fame can easily intoxicate a person's mind and it causes people do rash things. As their fame increases, I hope that Team Azkal focus on their goal and that is to reach the World Cup. 3. Continue Playing Against Other Soccer Teams - Playing against other soccer teams of other nations is good for Team Azkal. It helps them to be exposed to various techniques used by various teams around the world. Team Azkal will benefit greatly from this because it help them “know” their enemies in soccer. 4. Continue Promoting Soccer in the Philippines – Like what I said, playing in the World Cup is an elusive goal. It is possible that the current members of Team Azkal may not get the chance to play at the World Cup. With these in mind, the Team Azkal must continue in its role in promoting soccer in the Philippines. Team Azkal must inspire young people to play soccer so that the Philippines will have steady supply of soccer players in the future. 5. Don't Get Entangled in Controversies – Team Azkal had been entangled with controversies, specifically with the people in showbiz. 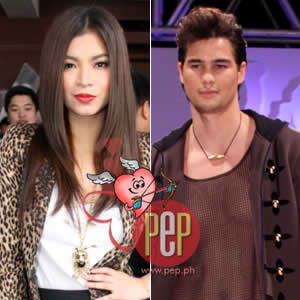 Team Azkal got involved with a controversy with Angel Locsin. Also, fans of Team Azkal quarreled with the actress Angelica Panganiban on Twitter. Controversies are distractions and might affect Team Azkal's focus on soccer. I believe that it would be good if Team Azkal stop being involved with controversies. So, those are my tips for the Team Azkal. I do hope that they replicate their victory over the soccer team of Mongolia. However, Team Azkal's path will go harder as they continue their journey to World Cup. I pray for the success of Team Azkal and may they make soccer as popular as basketball in the Philippines. Visit Before the Eastern Sunset and read about my second visit to La Mesa Eco Park. Photos copied from Twitface.net and Philippine Entertainment Portal. Great post! We believe that they are going to win more!!! I hope that they continue practicing ang in getting stronger despite the fact that they lost against the Kuwaiti.